NIDEC-SHIMPO has a state-of-the-art manufacturing plant located about 40 miles south of Shanghai in an industrial park in the Zheijang province. The industrial park is the home to more than 20 NIDEC Group Company manufacturing plants, making NIDEC a very important employer for the local community. 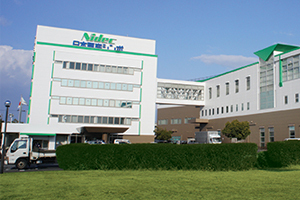 NIDEC is one of the first Japanese corporations to focus on establishing local manufacturing capabilities and a strong supply chain networks in China, as an important part of their strategy. The primary NIDEC-SHIMPO manufacturing facility is now producing more than 30,000 reducers a month. The plant has achieved large scale production and economies of scale that is a major advantage over our competitors. This manufacturing strength allows NIDEC-SHIMPO to provide unmatched value to our OEM customers, helping them to compete in a very price competitive global market. NIDEC-SHIMPO has been very successful over the past decade at bringing new high performance and high quality products to the market. We have developed a core competency at quickly developing products and applying our know-how to efficiently scale-up a manufacturing process from bench testing to large volume production. We promise to leverage this intrinsic skill set in order to continue to push the product development envelope and provide even higher performance, cost effective products to our customers. Our high-volume and cost effective manufacturing capabilities would be meaningless if we did not have the appropriate quality control program in place. NIDEC-SHIMPO takes great pride in our product quality, and we have implemented numerous tests and metrics in order to insure our products exceed our customers’ expectations. Every reducer that leaves our manufacturing plant undergoes a series of performance tests before it’s cleared for shipment. It is not satisfactory for NIDEC-SHIMPO to simply conduct lot testing. 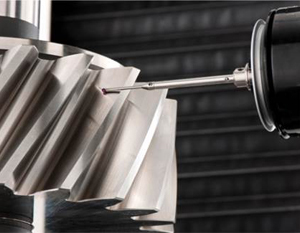 Each reducer is tested under extreme duty cycle and duration simulated environments. The program includes the following tests – Noise Measurement, Continuous Load Testing, Shock Load Testing, and a Backlash Measurement Check. Besides final assembly performance testing, a quality control program is in place for any raw materials entering our manufacturing plant. This testing at the front end of our production process is crucial, and our quality inspections at the point-of-entry are as stringent as any testing done throughout our manufacturing process. In 2011, NIDEC-SHIMPO AMERICA launched a kit build program at their Glendale Heights, IL facility to serve the North American market. The new Kit Build Center allows NIDEC-SHIMPO to quickly assemble a larger variety of high-precision planetary reducers, which surpasses all competition. The Kit Build Center can assemble any inline series (VRL, VRB, VRS) of reducers in most major ratios within a 2 to 4 day period. 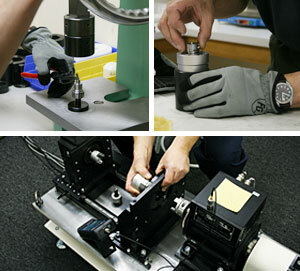 The Kit Build Center tests every assembled planetary reducer to make sure all performance specifications are met. The battery of tests includes load testing, noise measurement, and backlash measurement, the same tests run by our manufacturing facility. The new Kit Build Center provides an excellent, quick, turn-around solution for Distributors working on single projects, OEMs requiring prototype units for test, and basic aftermarket support where required. For more information about the Kit Build Center in North America, please contact your local NIDEC-SHIMPO sales office. Take advantage of the quick turn-around time in order to stay out in front of your competition. Contact NIDEC-SHIMPO today!